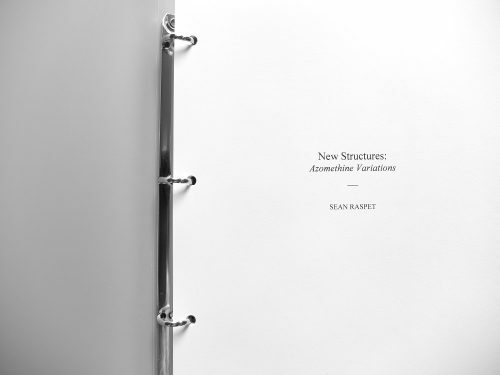 With “New Structures: Azomethine Variations”, Sean Raspet builds upon his knowledge and use of chemistry. When patenting for the chemical difference between Coca and Pepsi, synthetizing the fragrance of old coins, or saturating a gallery space with smell, he explores strategies that can be traced back to Robert Barry’s Inert Gas Series and, more broadly, to Lucy Lippard’s concept of dematerialization of the art object. 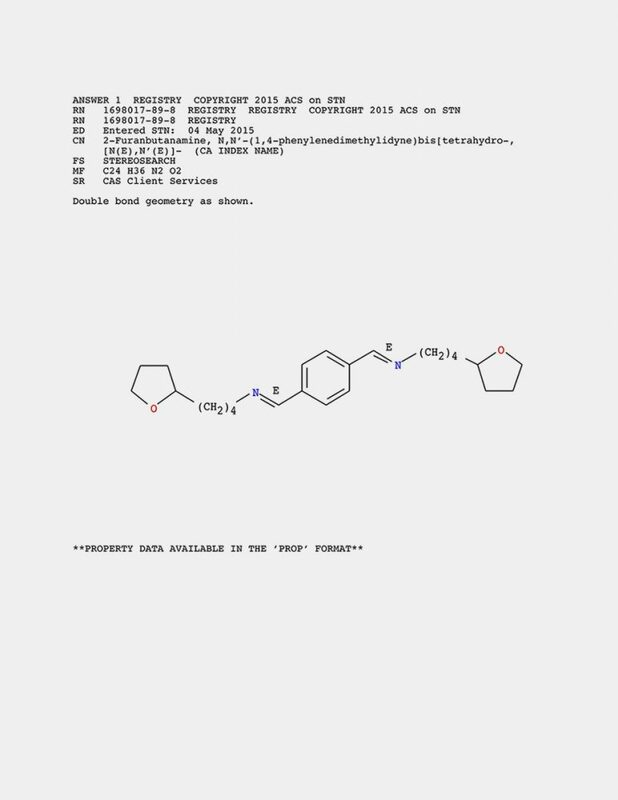 In this new artist’s book, Sean Raspet files the formula patents for 80 compounds. This examination of chemical forms is translated in book form, in a way that is reminiscent of concrete poetry publications from the 60’s and 70’s.